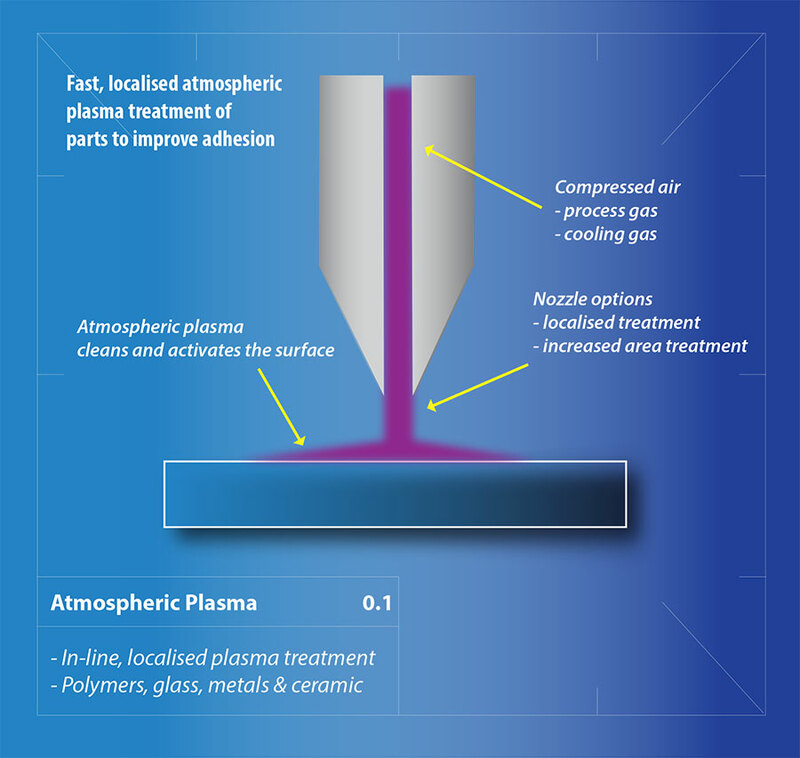 Plasma surface activation is effective at altering the surface of a polymer by attaching polar or functional groups to it. Many polymers, in particular polyolefins such as polyethylene and polypropylene, are chemically inert and cannot bond easily to other materials, displaying poor adhesion with inks, paint and glues. The reason for this is the absence of polar and reactive functional groups in their structure. 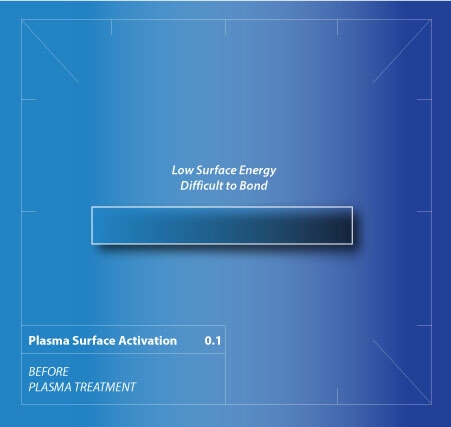 Plasma surface activation renders many polymers receptive to bonding agents and coatings. 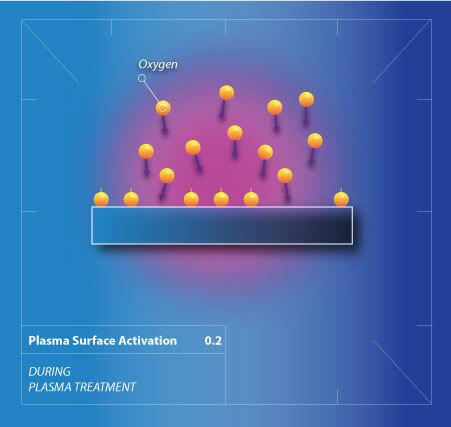 Oxygen is usually used as the process gas, however, many plasma activations can also be carried out with just ambient air. Parts remain active for a few minutes up to several months, depending on the particular material that has been plasma treated. Polypropylene for example can still be reprocessed several weeks after treatment. UV radiation and active oxygen species from the plasma break up separating agents, silicones and oils from the surface. These are pumped away by the vacuum system. 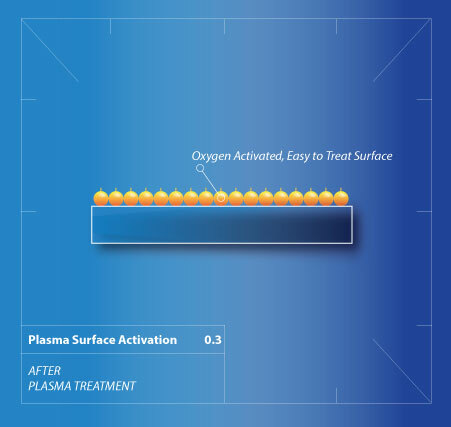 Active oxygen species (radicals) from the plasma bind to active surface sites all over the material, creating a surface that is highly ‘active’ to bonding agents. Dyne test inks indicate a specific level of surface energy. 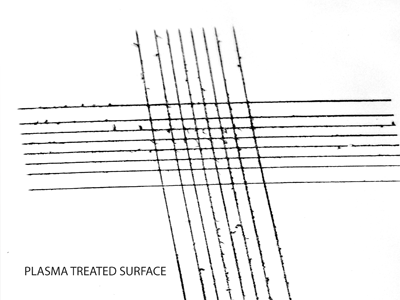 Grid test cut methods (DIN EN ISO 2409) clearly demonstrate the enhanced bonding (right image) to plasma activated surfaces after treatment.